It is human nature to hope that the shot you have just hit will win the point. Unfortunately, this type of thought during a match will not allow you to recover, prepare, and react if the shot does come back. One of the unique qualities of the best tennis players in the world is their ability to always expect that they will have to hit another ball. Regardless of whether they have hit their shot extremely well, poorly, or just average, they are always ready for that extra ball. Keeping this mentality has become increasingly difficult because of the speed of today's shots and the lack of time in between hits. In doubles, the shots and the points are even faster. 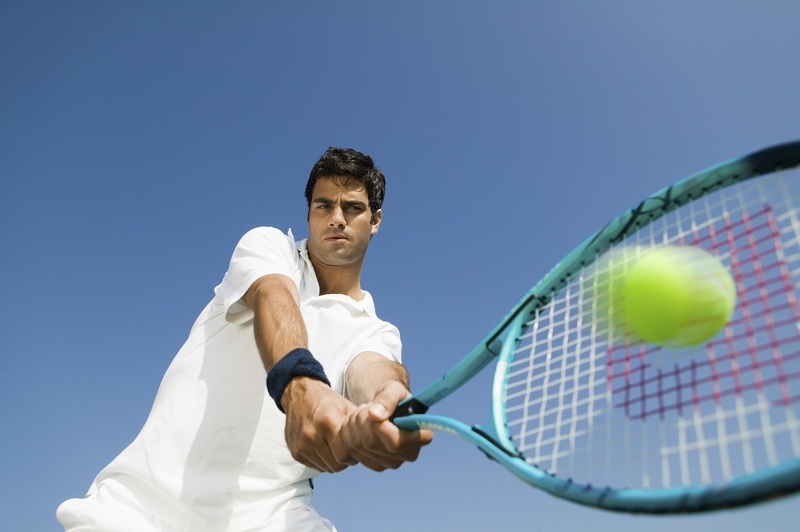 Make it a habit to get your racquet back to the ready position and use your feet to recover the ground that you just gave up on the last shot. Play a game in your mind that the point will always last a couple of shots longer than you think. Hit the shot that you believe will win the point and then get ready for that extra ball to come back. All of this sounds obvious and easy, but remember that you are battling human nature and habits, so it will take a lot of discipline and reminding to execute this idea.